The Cuisinart CPM-100PK is a 1500 watts hot air popcorn maker which is easy to use. Just pour kernels into the popping chamber without oil and hot air will send up to 10 cups of popcorn out of the chute right into a waiting bowl in under 3 minutes. It features a butter- warming tray for a richer treat and all removable parts are dishwasher safe. The Cuisinart Air Popcorn Maker has many exciting features for users of all types. 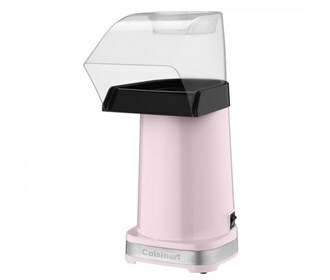 You can extend the lifetime of your Cuisinart Air Popcorn Maker with the purchase of a FactoryOutletStore Factory Protection Plan. 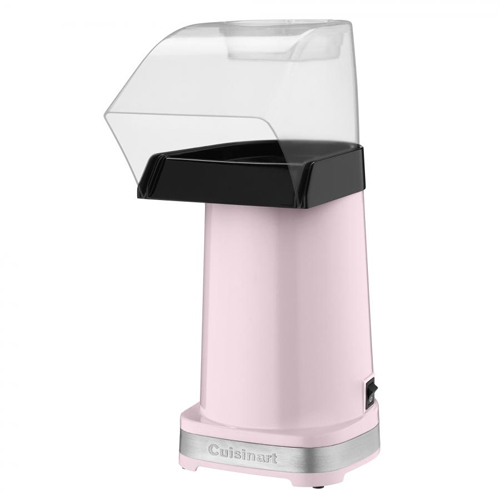 See the Cuisinart Air Popcorn Maker gallery images above for more product views. The Cuisinart Air Popcorn Maker is sold as a Brand New Unopened Item.